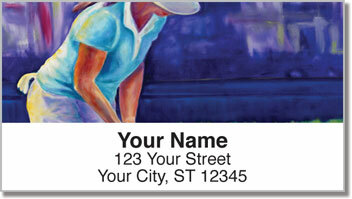 Get your golf on with these golf-tastic address labels from Artist Shannon Grissom. Through these timeless illustrations, you can experience all your favorite parts of golf. Judging the tricky shot from the green. Gazing at your club longingly, lovingly, and hoping they'll bring you a good game. 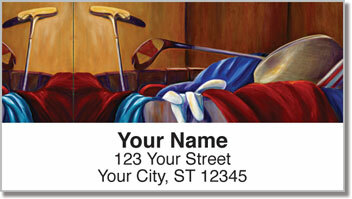 You can even see the dirty laundry a golfer leaves behind. Nothing quite like having to get grass stains out of golf gloves. 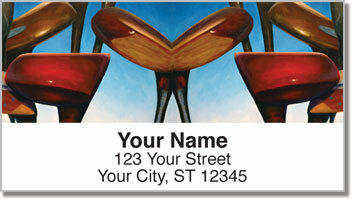 A tricky business. 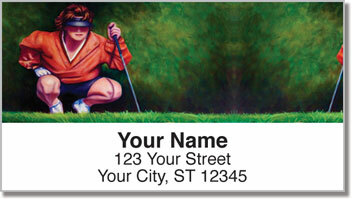 Order these golf address labels today and get shipping, absolutely free. A real hole in one.